Newcomer Family Obituaries - Betty Elizabeth Peake 1932 - 2019 - Newcomer Cremations, Funerals & Receptions. 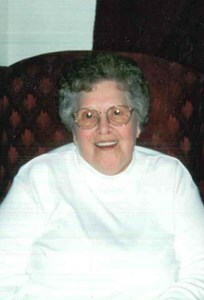 Betty E. Peake, 87, of Akron, surrounded by her family, went to be with the Lord on April 7, 2019. She was born in Burkes Garden, Virginia on March 14, 1932 to the late Gordon and Laura Lambert. She was a lifelong resident of Akron. Betty was a devoted Christian who was most recently a member of Temple Baptist Church. She was a fantastic cook whose infamous dishes included coconut cake, chicken and dumplings, fried bread, and many, many more. She enjoyed gardening and golfing with her husband, all while raising three wonderful children. In addition to her parents, she was preceded in death by her son, Ronald Peake; and seven siblings. Betty will be deeply missed by her husband of 67 years, Sonny Peake; children, Jenny (William) Henninger, and Donna (Donald) Smith; brother, Wayne Lambert; grandchildren, Nicholas Smith, Brandon (Misty) Smith, William Henninger Jr., and Heidi Henninger; great-grandchildren, Madisyn, Jaxon, Taylor, and J.R.; a special thank you to Patty (Reid) Abel, Tom and Kenny Grubb, and Betty Durham; as well as many other nieces, nephews, and friends. Friends and family are welcome to visit on Thursday April 11, 2019 from 5pm until 7pm at Temple Baptist Church 1212 Greensburg Rd., Uniontown, OH 44685. A funeral service will take place at Temple Baptist on Friday April 12, 2019 at 11am. Interment to follow at Ohio Western Reserve National Cemetery. In lieu of flowers, please consider a donation in Betty's memory to Blast GBM, an organization that she avidly supported over the past four years at www.blastgbm.com. Add your memories to the guest book of Betty Peake. Prayers of comfort and strength in this sad time for all who knew my Aunt Betty. But we know she and Ronnie are together once again?